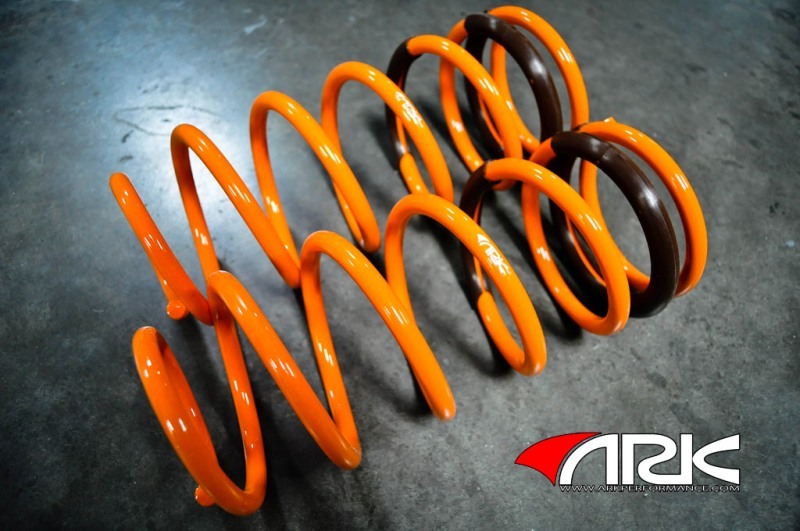 ARK GT-Series lowering spring designed by ARK suspension engineers and performance racers from GT series, delivers the best quality and balanced handling without ever neglecting driver's safety or the ride quality. By using our proprietary, progressive spring design, GT-F and GT-S provides the ultimate Ground Tech Suspension balance to take your passion for driving to a whole new step forward upgraded new level. Specifications: GT-F series lowers the car approximately 32mm (front) and 26mm (rear).